We place functional cookies with which we can measure the use of the website. We translate aerial imagery into data. Aerial photographs are very convenient to gather information about a building or an area. But imagine you need information about thousands of buildings, an entire town or an entire country? Going through the photos manually is not an option! Readar offers you the solution. We mine data from aerial photographs using remote sensing and Machine Learning. By doing so, we are able to save you many man-years of work. What you can see on an aerial imagery, we deliver as data. And more: we deliver pointclouds from aerial imagery, map asbestos roof material, the presence of solar panels, change detection for buildings, volumes of buildings, floor areas and 3D models of roofs and buildings. All information can be linked to addresses. Using this information, you can add value to your own applications. If you want to know more about the data we can deliver, please consult our product sheet. All our data is available nationwide. Readar has the infrastructure to analyse many thousands of kilometres and has all the licences for land-covering, aerial imagery. Therefore, you don’t need to have your own images. If you prefer, of course, it is possible to have your own aerial imagery analysed by us. The possibilities per country can be found here. You can request information on any object at any given time via our API. That’s convenient when you want to validate online applications via your website. 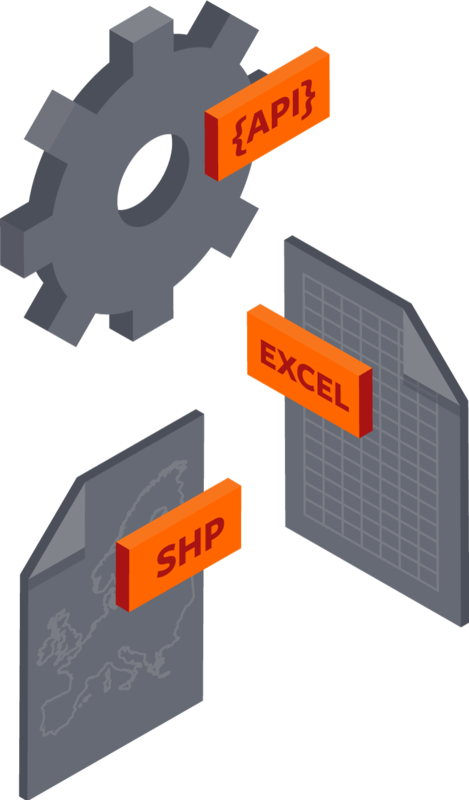 If your application relates to a project, or if you would rather host the data yourself, we can of course supply you with a data dump in a file format and structure that fits your current way of working. We start by determining the required reliability together with you. Dependent on the outcome, we use a fully automatic approach, using remote sensing and machine learning, or a semi-automatic approach. For the semi-automatic approach our algorithms select relevant objects, which are then manually checked by our taggers. Because of our statistical substantiation, we are able to calculate in advance how many objects we have to manually check in order to reach the desired level of reliability. 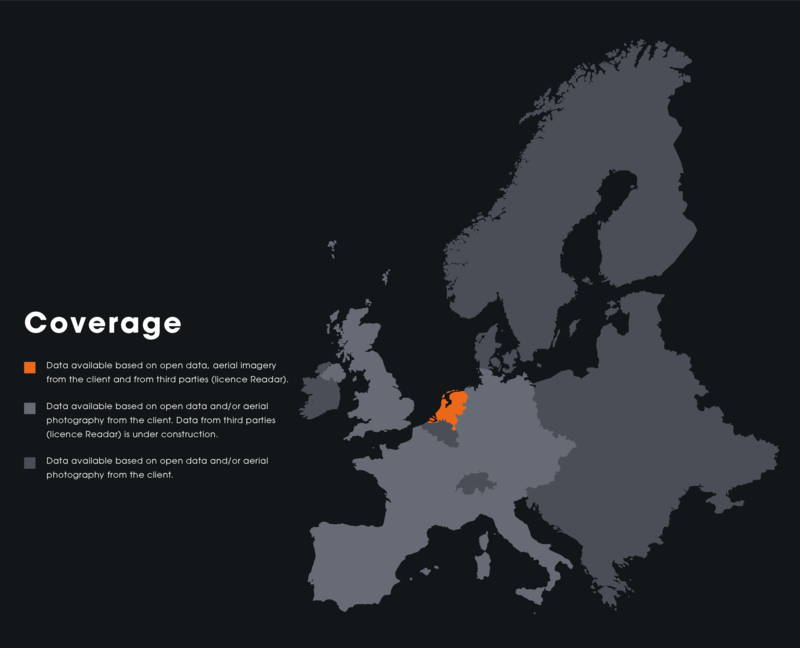 Governments: more than half of the Dutch municipalities use Readar’s data in one or more ways. 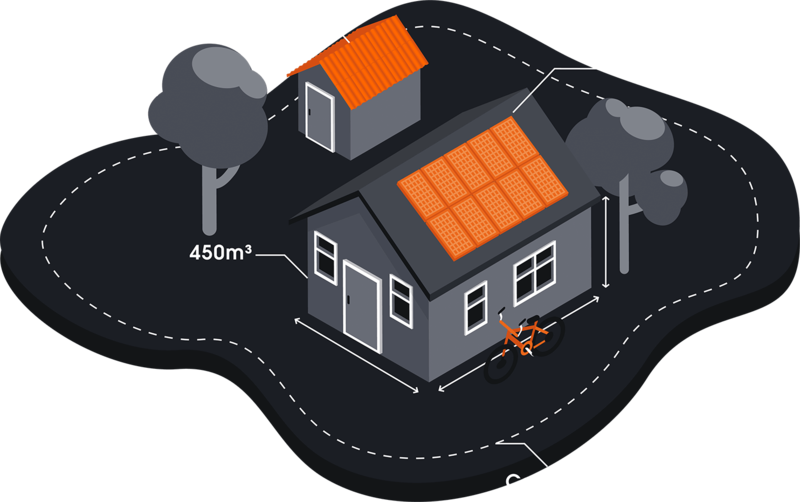 We help these towns with the inventory and monitoring of asbestos roofs, solar panels and green roofs. In addition to that, our building information is used at the annual Taxation appraisals. 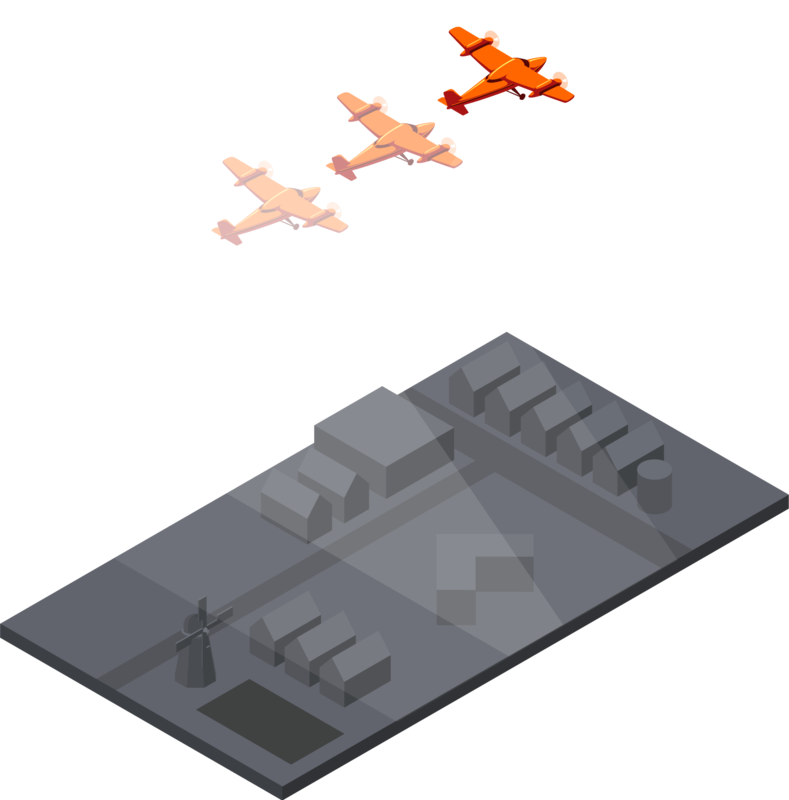 Readar’s mutation signalling is used to manage the building administration. Some end users use the data themselves, others use industry experts who have developed solutions for specific industries. If you do not have the knowhow or the resources to use the data, we will gladly connect you with experts who have worked on our data before. Reader has a vast network and can advise you the right expert for your industry.